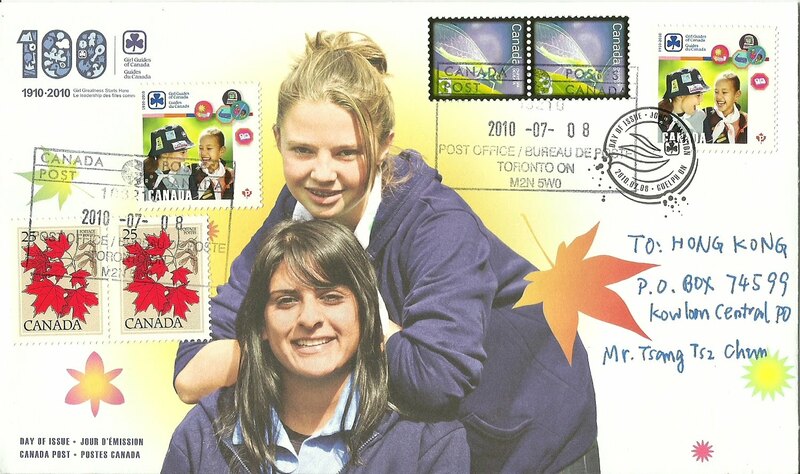 Sometimes philately are not only collecting stamps, but also gaining friendship from the four corners of the world. Every time when you got a mail from your postbox, what you get is more than a piece of mail, but a piece of very best regards from your friend thousands of miles away. 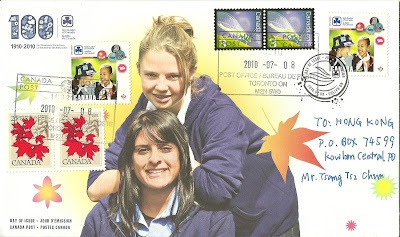 Since 1910, Girl Guides of Canada has been a trailblazing movement advocating for girl and women, providing them with opportunities to discover new interests and develop leader skills. One hundred years agi, the first Canadian Guiding unit was formed in St. Catharines, Ontario, and today there are units in every province and territory. Hong Kong Cover - 45th Anniversary of ICAC - Cover 封 Sobrescrito Hong Kong A cover with the 45th Anniversary of ICAC postal slogan.